Dr. Priyanka Suryawanshi obtained her ‘Bachelor of Dental Surgery’ (BDS) degree from M. G. V. Dental College & Hospital, Nashik 2003. She did masters in Master of Dental Surgery (MDS) from M.G.M. Dental College & Hospital, navi Mumbai. The registration number of Dr. Priyanka Suryawanshi is A-16467. She was an Assistant Professor at Triveni dental College, Bilaspur, Chhattisgarh. She works as an Orthodontist at PS Dental care clinic, Nagpur. 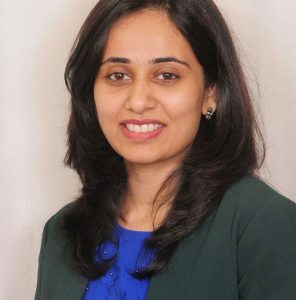 Dr. Priyanka Suryawanshi has 9 years of experience.